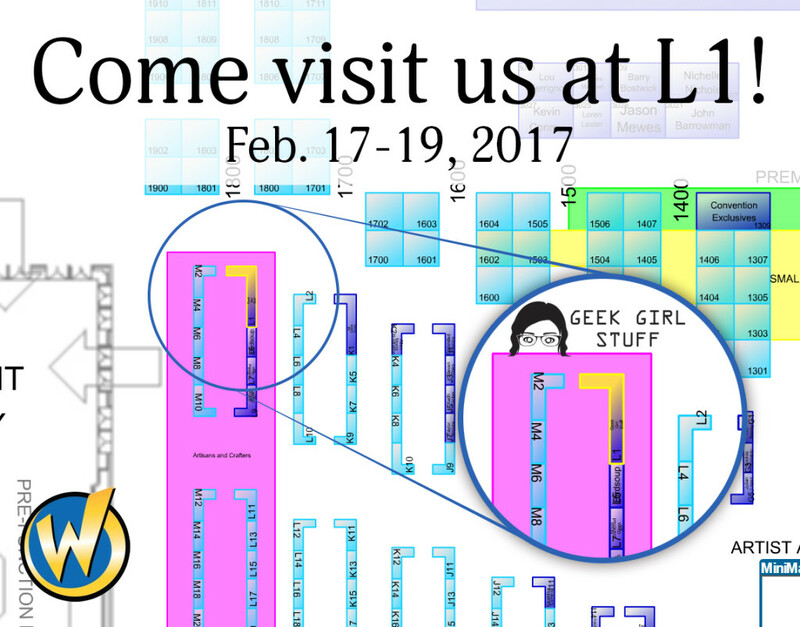 Wizard World Comic Con 2017 is coming up in two weeks and Geek Girl Stuff will be there! Come visit us at L1 in Artist Alley. The show floor hours are Friday 5-10pm, Saturday 10am-10pm, and Sunday 10am-4pm. We will have all sorts of fun things at our booth so come say hi!